It is an easy thing to fall in love with a certain sofa or a wardrobe, spend your money right away and take the item home. But do you ever stop and think if it will fit through the door? Do you ever take into account the sizes of said furniture? This is a problem many people ignore until it is too late and they are in front of their house with a sofa too big to get through the door. How much space do I have? Is my room big enough for this piece of furniture? Will it go together with the other furnishings? Will it fit in my room? Will this size of furniture look good in the room? Will it fit through my doorway? Is it wide and tall enough? Does the furniture have removable parts? When you answer these questions, then you can go on with the steps on how to measure and choose the right size furniture for your home. Step One. Measure your home. Measure the entry door and the room’s door size. This needs to be done in order to properly calculate whether you would be able to bring the furniture into the house. If your furniture is flat packed, they will be easily carried into the room and professional assemblers can put them together and arrange them. Measure also the hallways, stairways, width, height and diagonal width, of every passage you will be going through with the furniture. Make a plan of the room (or all rooms) that need new furniture. Use a measuring tape to measure all sizes. Length and width of the floors, the walls, the height of the room, the windows, and the doors are a must. Any natural architecture (e.g. fireplace, alcoves) should also be measured. Take into account ceiling lamps and how low they hang. Put all the measurements on the list, respectively. How else would you choose the right sofa for your living room? Step Three. Create a visual. Use painter’s tape to appoint places for the furnishings in the room. Marking the places on the floor in your room will give you a better visual and to rearrange forms and sizes. You can see better what the room needs. When you have found the perfect sizes and places for your different types of furniture, measure the tape, so you have approximate sizes for each piece. Or download interior design apps (e.g. Houzz, Homestyler Interior Design, MagicPlan) to get an even better visual. They give you the opportunity to see how certain pieces of furniture will look in your room in 3D. Step Four. Be prepared when you go to the store. 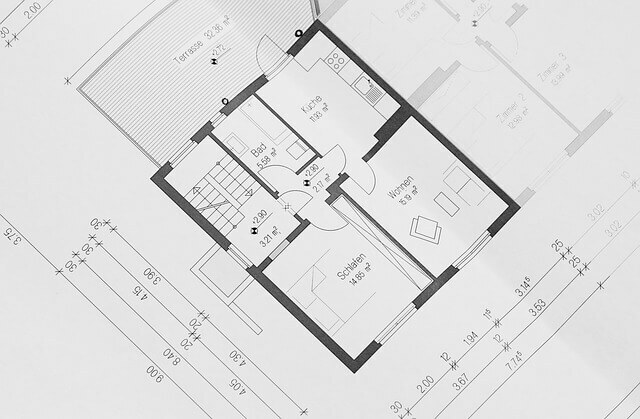 Write everything down on your floor plan- all furniture, all sizes. Bring the plan to the furniture store, the employees there can help you and advise you according to it. Luckily, the furniture in the stores come with measurements, there’s no need to measure them on your own. You can check big retailers’ sites, IKEA, for example has all its furniture measurements in their site. *A major tip for this step! Please make sure to mark correctly where your switches and outlets are, to prevent big items covering them. Step Five. Think in advance. Design the layout. Imagine possible future scenarios. 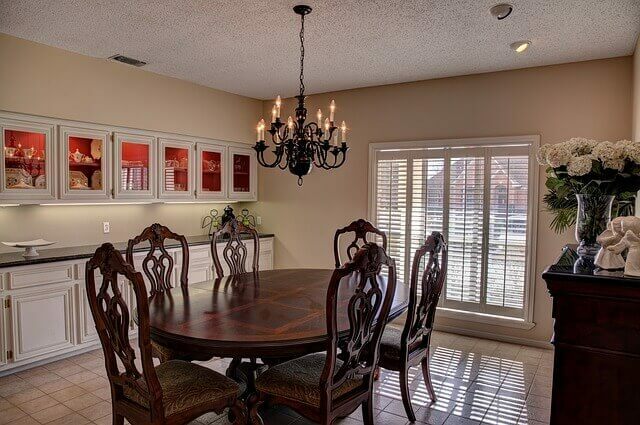 Is your dining table big enough for family gatherings, for example? Or is it too big and it will be impossible for you to move it around when you have guests? That’s why it is important to measure everything in the room and know the measurements of the furniture. If you have a large living room that you wish to include different areas in, then you should opt for smaller pieces so that they can fit together. If you want to give your children’s room an area to study or play in, opt for smaller sized beds. When all measurements and most probable scenarios have been considered, and you have determined which is the right size for any room, you can go on with the shopping for furniture. Whether they are sturdy wooden pieces or easily assembled flat packs, the only thing to will have to do is choose some pieces that you like. See our guide on how to pick the best type of furniture for your house.